Relax. Release stress. Rest in faith, hope, and love. Love can see beyond the worst conditions. Love can overcome the harshest treatment. Love can encourage the greatest transformation. While you color, focus on God s incredible, complete love for you. As you grow in your understanding of His love, ask Him to help you share that love with others. Whether you are a novice or an experienced colorist, you can reflect upon quotations from the Modern English Version of the Bible as you color the detailed designs. 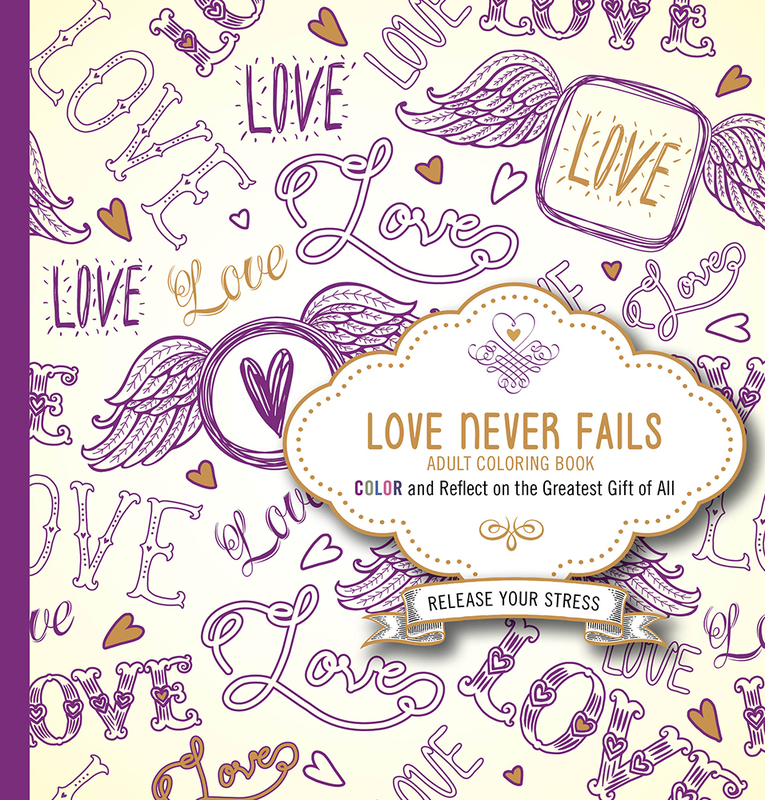 Love Never Fails Adult Coloring Book by Passio was published by Charisma House in January 2017 and is our 38867th best seller. The ISBN for Love Never Fails Adult Coloring Book is 9781629990866. Be the first to review Love Never Fails Adult Coloring Book! Got a question? No problem! Just click here to ask us about Love Never Fails Adult Coloring Book.